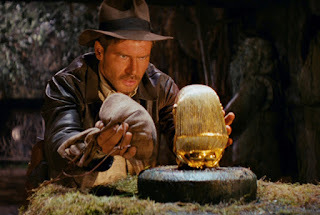 General consensus is that Raiders of the Lost Ark (1981) and The Last Crusade (1989) are the best two of the series, followed by Temple of Doom (1984), and probably the least favorite, Kingdom of the Crystal skull (2008). As the first movie it's the most important of the series. People often say The Last Crusade is the better movie, and it is, but only if you've seen the first one. Raiders establishes everything about Indiana Jones as a character that gets carried through to all of the other films. Even though it was made in 1981 it's still very watchable today. Largely because it's a period piece. It doesn't make any modern references that might date it. The special effects in the climax are a little dated compared to films of today but still compelling to watch the techniques used all the same. There is a theory going around (that I first heard on the TV show The Big Bang Theory) that the movie would've had the same out come without Indiana Jones and that somehow this diminishes the events of the film. I guess it depends on what you think the point of the movie is? 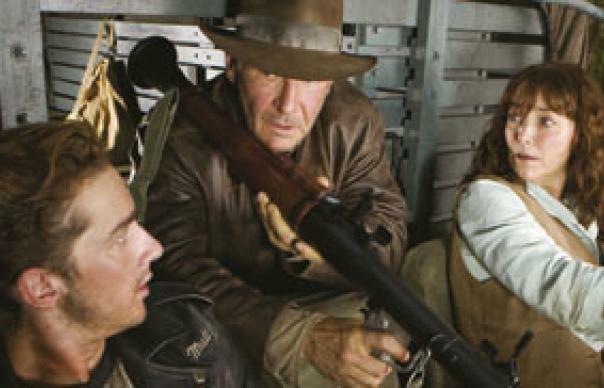 Sure Indy fails to secure the Ark but is that the point of the film? It can be argued that The Last Crusade and The Kingdom of the Crystal Skull both would also have had the same outcome with their MacGuffins without Indy. In each case it would have just taken the people looking for them longer to get there. 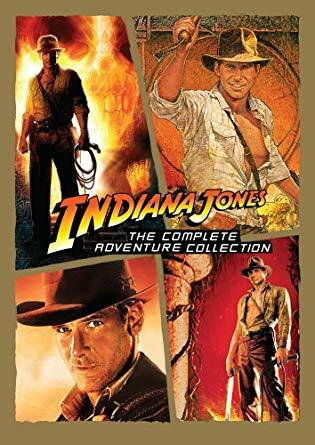 The point of these movies is to follow Indy's adventures. Whatever the outcome, it's about the journey and the people. It's about action and escapism. It's about watching Indy solve puzzles and make discoveries whilst racing against people looking for the same thing. It's not about winning. In fact Raiders sets up, right from the beginning, that Indy often finds the treasure but loses it to a competitor at the eleventh hour. That's part of what makes the character compelling. Despite being very capable, he doesn't always win in the end. The first Indiana Jones movie I saw in a theatre. I remember liking it at the time but was aware that it didn't quite live up to the first movie. These days people say that the film is somewhat racist with its cultural stereotypes. I was going to comment that I didn't think it was racist but then I read some articles on why it is, and I kind of agree. At the very least its stereotypes are culturally and gender insensitive. Stereotypes exist for a reason and not all of them are offensive. Most have an underlying truth to them, and only seem to offend if they aren't positive stereotypes. Indiana Jones himself has become a stereotype that, in this day and age, is starting to become an issue for diversity in movie heroes (white male who is very capable and often gets the girl - you don't have to think to hard for how often you've seen that). Temple of Doom does have several negative stereotypes; poor, defenceless Indian villagers, Indian Cult leaders and henchmen, Asian Gang members, and, of course, comedy relief, Short Round, and Willie Scott. None of them are particularly offensive in and of themselves, it's only when you view them as a representative of their culture and/or gender that they really become an issue. None of the characters are out of place in what is essentially a film trying to emulate a B movie from the 1950's. In many of the articles I read, discussing the racist/gender inequality aspects, most agree the film is still very watchable and a lot of fun, rather than offensive. 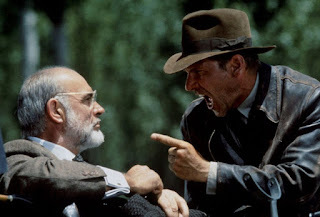 I don't have a lot to say about The Last Crusade other than it was genius to make it a father son story, and brilliant casting to put Sean Connery in the role of Indy's Dad. The opening flashback scenes with young Indy really establish their relationship, though it's a little corny that adult Indy bases his adventurer outfit on a guy he had a run in with as a teen (and how most of Indy's character traits were all founded in one event from his youth). Otherwise it's a solid film, the best of the series, but even better if you've seen the first movie. Probably the least liked of the series, and likely the reason Harrison Ford and Steven Spielberg are even considering another movie in the franchise. The character deserves to go out on a high. People were sceptical that Harrison would be too old to play Indy at this point, and he kind of is, but I think he just manages to prove otherwise in this film. Whether he can do that again in Indy 5 is going to be even more of a stretch but if you see the behind the scenes of Indy 4, Harrison is still pretty spry, climbing up the large crates in the warehouse scene effortlessly. I enjoyed the alien theme for this film. There's plenty of theories amongst ufologist that the human race is actually descended from aliens, citing evidence in actual hieroglyphs and other art from ancient times. The concept also fits well with the 1950's B movie aesthetic of the Indy franchise. Where it all started to go wrong, in my opinion, was the film's attempt to recreate a reversal of the father son relationship from The Last Crusade. Not a bad idea in itself, just executed poorly. We get to meet Mutt (Shia Labeouf) fairly early in the piece, and it doesn't take long work out he's Indy's son well before Indy finds out. We don't really get to see the father/son dynamic until halfway into the film which I think was a big miss for me. Indy get's no time to digest he has a son and no time to explore that relationship by the time he finds out. It was hinted that Mutt might become the new Indy but thankfully they didn't follow through on that idea. The character didn't earn the title at all. (Not to mention I'm just not a Shia fan. He can act but, even now he's older I have no desire to see him play an Indiana Jones like character, Indy son or total reboot of the franchise). The other main issue this movie had was an over reliance on CGI but I'd dispute that. Whilst the CGI wasn't great in a franchise that didn't need it this much, what really brought the film down was CGI sequences bordering on the ridiculous - Shia swinging through the jungle with monkeys was the worst offender for me. Indy movies have always been over the top with their action pieces but, no matter how unbelievable they are, there's always an element of 'yeah, maybe that's possible... for Indy'. Crystal Skull kind of lost sight of that, particularly in the fridge sequence, and the final three waterfalls sequence. The end of this film is also kind of, what was the point of it all? Just like the first movie, you would've got the same result as far as the Crystal Skulls go without Indy. Then I remind myself it's about the journey not the goal. 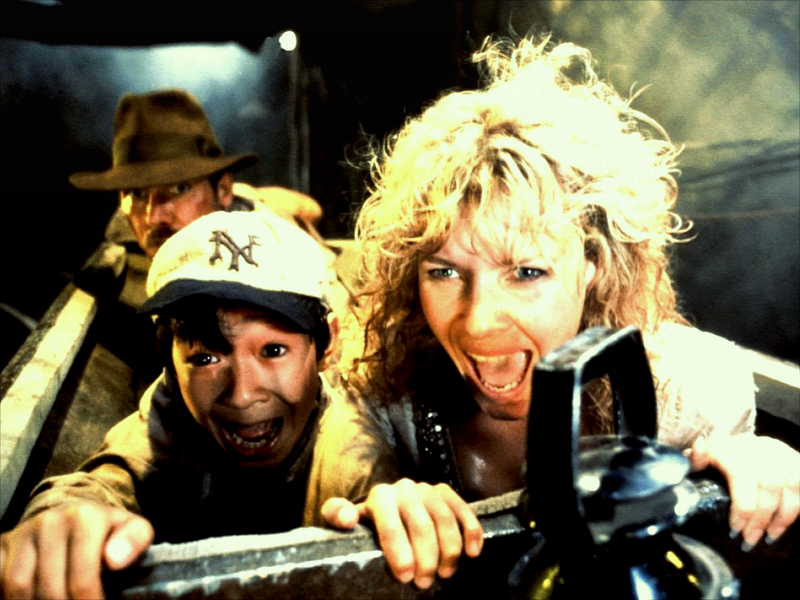 Whilst it was great seeing Indy reunited with Marion (Karen Allen), probably the best part of the film, overall it didn't focus nearly enough on the character relationships the way The Last Crusade did. The fact it ended with a wedding suggested strongly that Indy was finally going to settle down and live the quiet life. Indy 5 is meant to begin shooting in April of 2019 according to director Steven Spielberg. 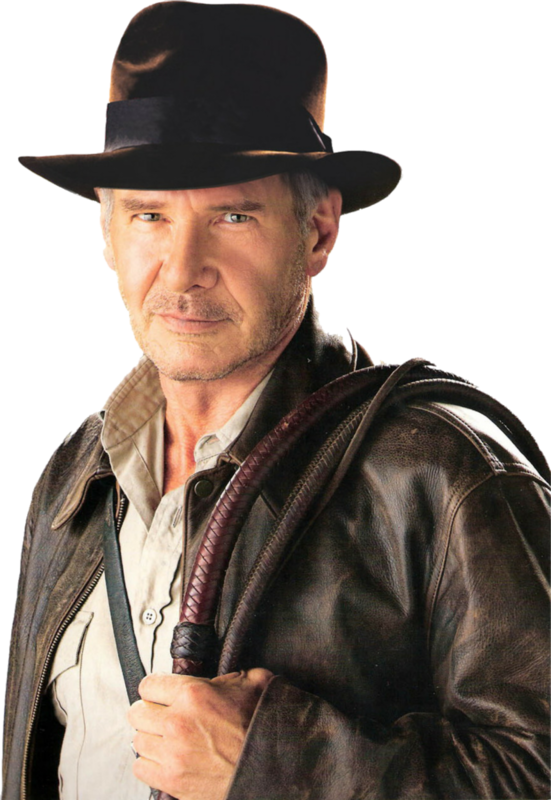 Harrison Ford is confirmed to be reprising his role as Indy. One could argue that Harrison is too old to play Indy, particularly by 2019, but it really depends on what version of Indy you're thinking about. He's not Raiders Indy anymore, but he is still very close to Crystal Skull Indy. A guy who clearly isn't as able bodied as he used to be but can still take a punch. That said, one angle the film could take would be to properly cast 'Junior' in the 'Senior' role and team him with an aspiring Indy type (maybe even a female Indy type). Shia isn't supposed to be reprising his role, though I wouldn't be opposed to him getting another shot at Mutt with a better character arc. It is supposed to be Harrison's last time in the role so whatever they do, I hope it's epic, and just plain fun adventure. I'll definitely be looking forward to it.